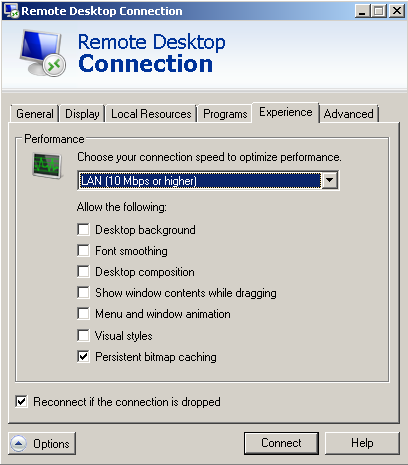 Here are some quick changes you can make to Remote Desktop Connection options for better performance. 1. 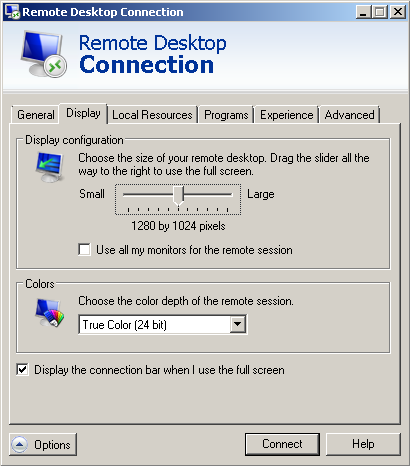 In the Display Tab, choose a lower color depth. The less colors, the better. 2. In the Local Resources tab, unselect Printers. I find the Clipboard option useful, so I keep that checked. 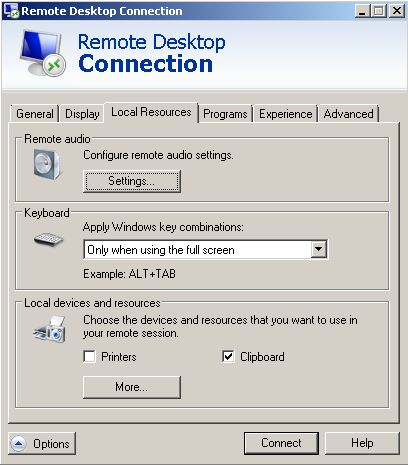 If you don’t need to copy paste between your local and remote PC, you can disable this as well. 3. 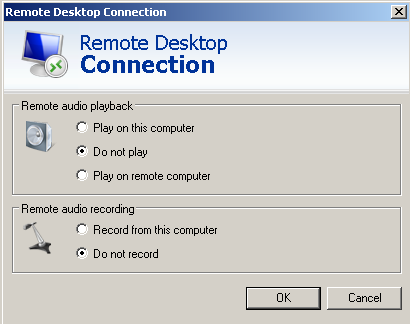 Still on the Local Resources tab, click on Remote Audio Settings. In the Remote audio playback section, click on “Do not play”. 4. 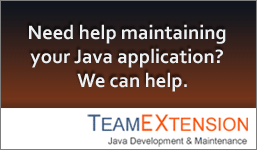 In the Experience tab, uncheck all options except for “Persistent bitmap caching”. And here’s an extra tip. 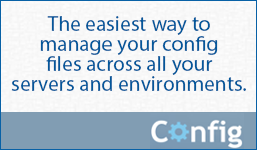 If you find the need to transfer files between the local and remote PCs, you can go to the Local Resources tab and click on “More …”. 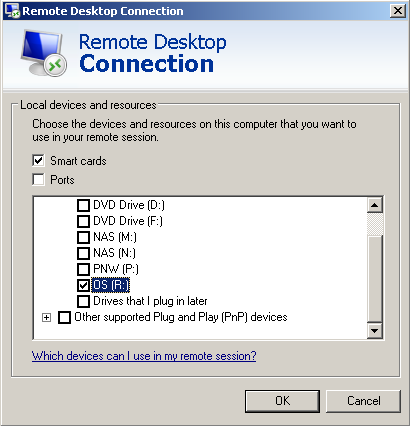 From there you can select the drive you wish to use during the remote session. Here’s how to delete files older than N days. We are using N = 7. You can test the command by removing “-delete”. forfiles -p "c:\base-dir-to-delete" -s -m *. * /D -7 /C "cmd /c del @path"
You can test by replacing “del” with “echo”.